Saltburn Concert - c. 1920. 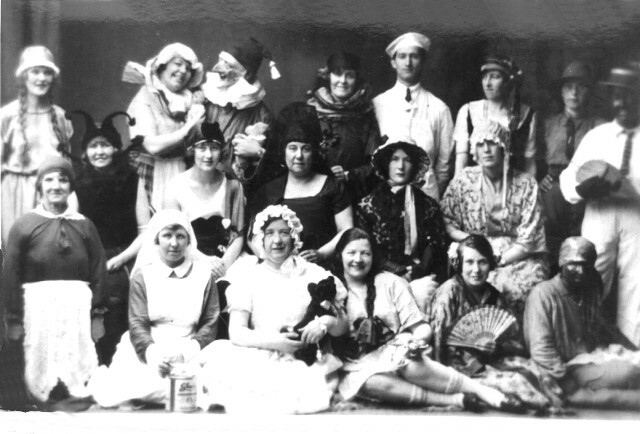 Back row extreme left is Bunty Purdie; front row 2nd and 3rd from left are Chrissie and Susie Ross. I was told that the woman in the first row left is my great aunt Anne Dodds Munro, whose family home was Firth View (now 46, Saltburn Rd). Does anyone know the name of the woman in the first row second from right (holding fan)? She looks so much like my mother I wondered if she was a relative too.